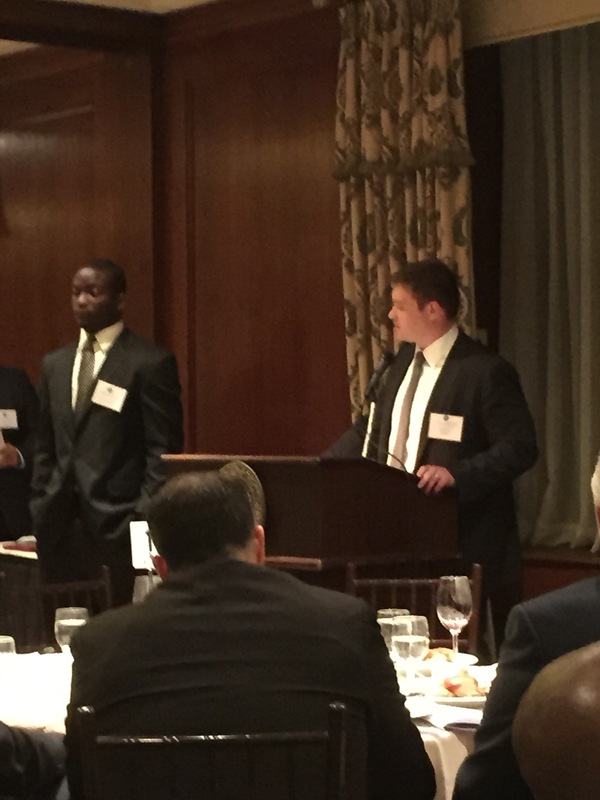 Brian Lysiak of the National Football Foundation’s NYC Chapter presents Lawrence Menyah with award for Elite 11 Team. Award comes with $1000 scholarship. 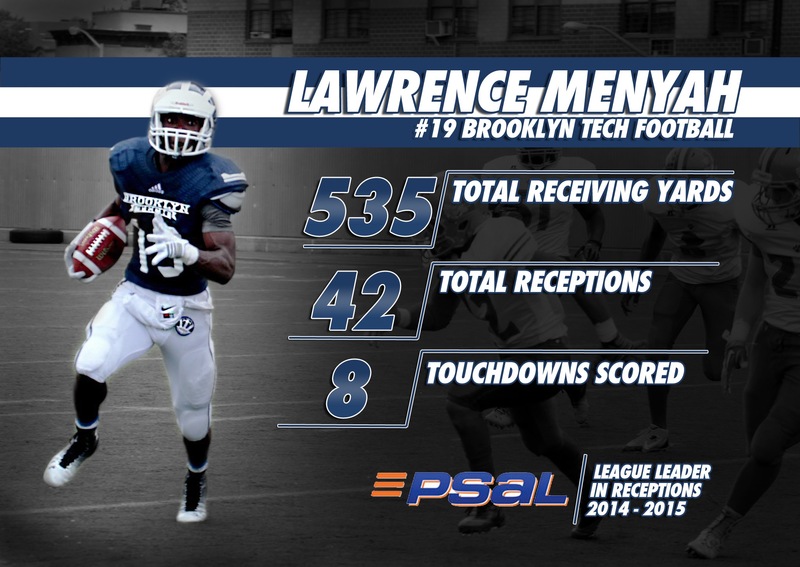 Lawrence Menyah (Tech 2015, Fordham 2019) has been selected to the 2014-2015 Elite Eleven Team for the New York City Chapter of the National Football Foundation. The 2015 team captain and NYCFCA All City player was selected based on his combined achievement on the field, in the classroom, and for his leadership contribution to the community. A dinner honoring the members of the team was held on Thursday, April 16th at the New York Athletic Club in Manhattan. Menyah received a $1000 scholarship for being named to the team. Menyah is the third Tech player named to the Elite 11 Team in the last three years; Jeff Bunditwong (Tech 2014, RIT 2018) and Benjamin Haye (Tech 2013, NYU 2018) were also honored by the NFF.